At Traralgon Wills and Estates Lawyers Henry Street Law, we can advise you on the best way to prepare your Will so that it suits your individual circumstances. There is no single answer about how to draft your Will. It depends on your assets, individual circumstances and who your beneficiaries will be. You should make a will that complies with the provisions of the Wills Act 1997 (Vic), makes your wishes clear, and that avoids confusion and conflict between your loved ones. Making your will in this way helps protect your family and friends from costly and stressful legal disputes. At Henry Street Law, we have over 25 years experience in this area. Your Executors have the legal and administrative task of making Application for a Grant of Probate or Letters of Administration from the Supreme Court of Victoria and then when that has been obtained, sorting out your assets and debts after you pass away, and of making sure that your wishes as outlined in the Will are carried out. 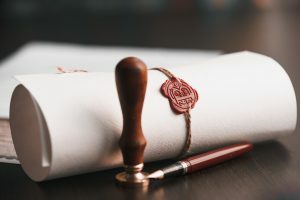 You can designate anyone as a beneficiary and distribute your assets in any way you like, however if you don’t make a Will, your estate will be distributed in accordance with the intestacy provisions of the Administration and Probate Act 1958 (Vic). You also should consider the effects that an inheritance may have on your beneficiaries. In some cases a testamentary trust Will can sidestep potential taxation problems, so it’s important that you ask our specific advice about your situation. To be valid, the person making the Will must be mentally competent, the Will must be correctly signed and witnessed, and show no evidence of having been tampered with. The witnesses to the Will should not be beneficiaries, or related to beneficiaries and must be over 18. You should review your Will and seek advice on it after any major events, such as marriage, divorce, a property purchase or sale, death of an executor or beneficiary, or if your assets change significantly. We also recommend that you review your Will every few years just to make sure that it is still the best instrument for you and for your family. We know the potential pitfalls, and will ask you the right questions to make sure that you have considered every possibility. We can advise you as to whether you would be best with a simple Will or a Testamentary Trust Will. We can draft your Will in a way that may help protect your family from expensive estate litigation after your death, and we can store your Will securely. Contact us on (03) 5181 6363 to discuss your particular situation and your family’s needs with an experienced wills and estates lawyer at our office in Traralgon. You can also email us at enquiries@henrystreetlaw.com.au.